RiME (game, 2017). An adventure puzzle video game by Grey Box/Six Foot/Tequila Works. Developed by Grey Box, Six Foot, Tequila Works, QLOC S.A., Tantalus. Official Trailer. 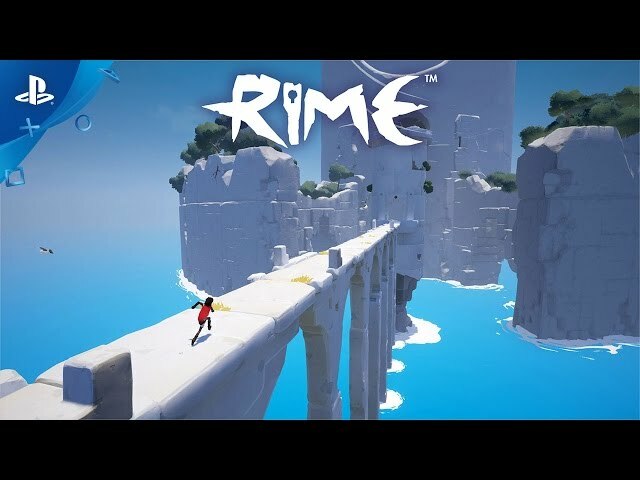 RiME is an adventure puzzle video game by Tequila Works, Grey Box and Six Foot, developed by Tequila Works, QLOC S.A., Grey Box, Six Foot and Tantalus. 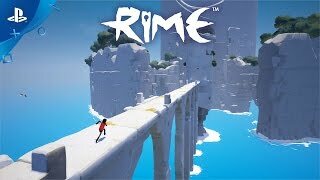 RiME - Launch Trailer | PS4. Rime begins with a boy washed ashore on a mysterious island, with a giant tower at its center. As the boy explores the island, guided by a magical fox, he encounters a mysterious man in a red cape on several occasions but never reaches him. During the progress of the game, the boy has recollections about how he came to the island. He and his father were at sea when a storm struck and his father fell overboard. The boy had tried to save him but could only grab hold of part of the red part of his cloak before the sea took him; the boy now wears this cloth to remember him. The figure in red represents his father, leading him through to the central tower. As the boy climbs the tower, he comes to additional areas, each individually represents the five stages of grief. Eventually reaching the top of the tower and exploring the area representing acceptance, the boy is forced to let the fox go as it disperses before him. He returns to the central tower and finds that he is now inverted within it, and climbs back through it, eventually reaching the "top", the initial island. At this point, another flashback shows that the story has been actually from the father's perspective; it was his child that had been lost at sea, and the island and tower have been all part of his own mind, coming to grips with his loss. Imagining his child having come back to him, the father goes to the boy's room, examines his various toys, and as he turns to leave, a vision of his child with his red cloth appears on the bed. He hugs his son, the vision vanishing and leaving the red cloth in his hands. The father goes to the window and releases the cloth, finally letting go and accepting the loss of his son. 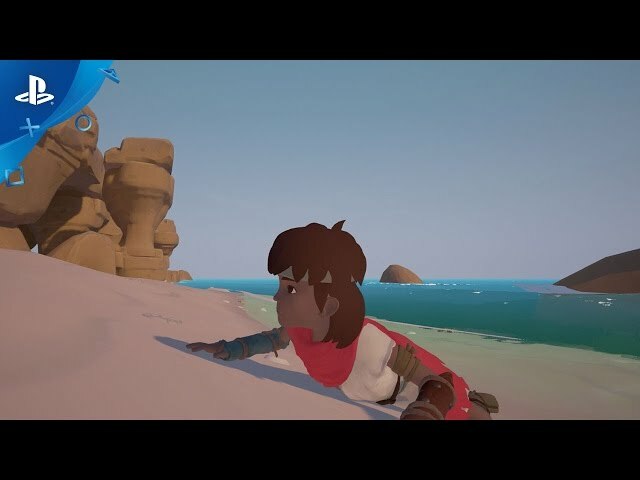 Rime is a played with a third-person view as the player controls a young boy that has washed ashore on an abandoned island. The player can make the boy run, climb, carry objects, and push or pull larger objects across the island's landscapes. The player can also have the boy shout or sing, which can trigger certain events tied to nearby statues, such as causing a door to open for a limited length of time. RiME was scheduled to be released by Grey Box, Six Foot and Tequila Works on May 26, 2017, on November 14, 2017 and on November 17, 2017. The game is made with Unreal Engine engine.